So, I found these cute little Christmas light ‘buttons’ (findings? not really button buttons) at Joanns, and I bought them because they were the perfect size and setup for earrings. 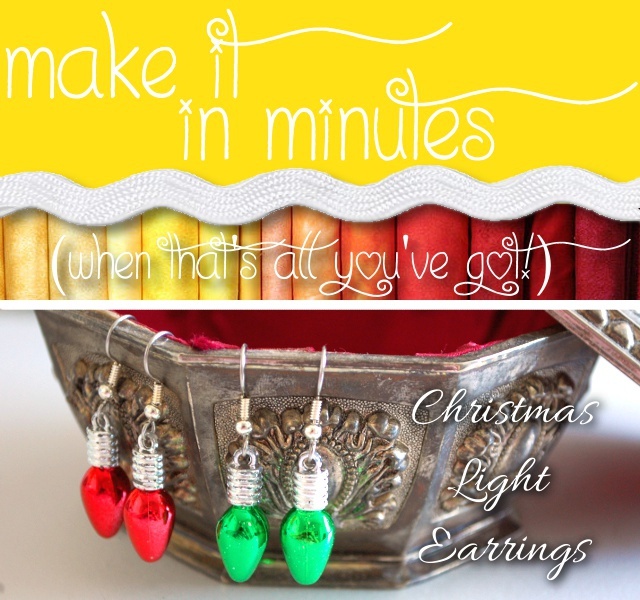 Really fast, really cute, really easy earrings. 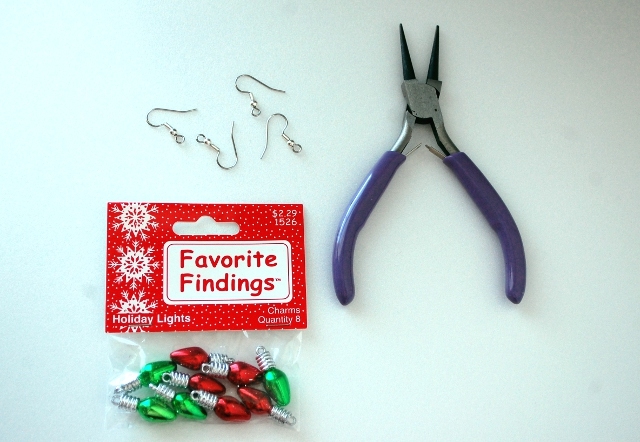 Using pliers, open the ring at the bottom of the earwire. (Do not “unroll” the wire loop, twist it forwards.) Hook the bulb onto the loop and twist it back into position. Repeat for as many earrings as you like! 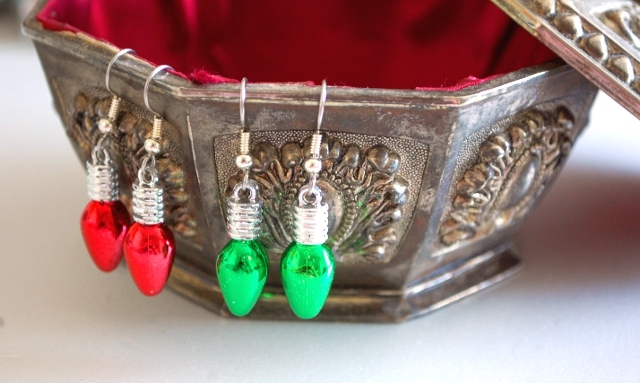 These are so fast, easy, pretty, and inexpensive that they would make great gifts or Christmas party favors. I love them! Are you on Pinterest? I wanted to pin this earring pattern but can’t find Pinterest button. Thanks for sharing your patterns. I added a pinterest plugin, hope it helps.